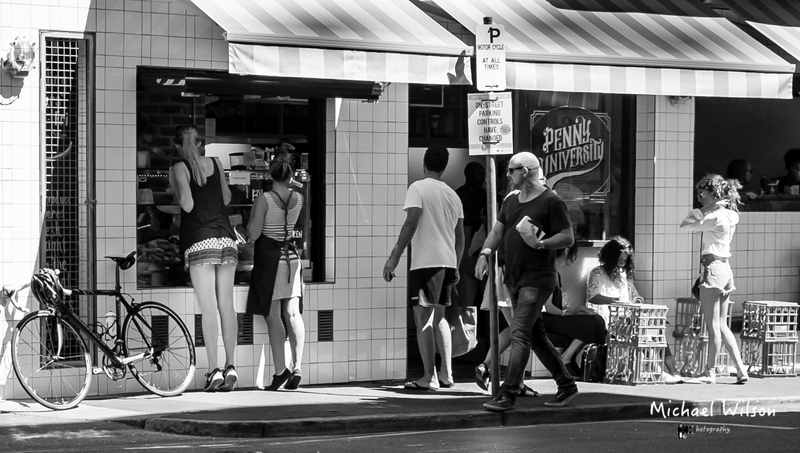 This entry was posted in Photography and tagged Adelaide, Adelaide Street Photography, Adelaide Street Scene, black & white, City, East End Penny University, Lightroom, Monochrome, Penny University, People, Photography, South Australia, Street Cafe, Street Photography. Bookmark the permalink. Funny how the shorter, less exposed, legs grab my attention more than the longer legs. A very nice narrative going on here. Hi Allen Yes I thought bit was very interesting !